The Tennessee Valley Authority (TVA) is a federally-owned corporation in the United States, created by congressional charter in May 1933 to provide navigation, flood control, electricity generation, fertilizer manufacturing, and economic development in the Tennessee Valley, a region particularly impacted by the Great Depression. TVA was envisioned not only as an electricity provider, but also as a regional economic development agency that would use federal experts and electricity to rapidly modernize the region's economy and society. TVA's jurisdiction covers most of Tennessee, parts of Alabama, Mississippi, and Kentucky, and small slices of Georgia, North Carolina, and Virginia. It is a political entity with a territory the size of a major state, and with some state powers (such as eminent domain), but unlike a state, it has no citizenry or elected officials. It was the first large regional planning agency of the federal government and remains the largest. Under the leadership of David Lilienthal ("Mr. TVA"), the Authority became a model for American efforts to modernize Third World agrarian societies. TVA is the largest electricity provider, with sales of $9.24 billion in 2007. It sells power to 159 local distributors, and directly to approximately 60 major industrial customers and federal installations. 8.2 TVA reclassifies sites as "high hazard"
Out of its total 34,615 MW of electric generating capacity in 2005 (3.24% of the U.S. total), TVA produced 51.0% from coal, 20.8% from nuclear, 14.9% from hydroelectricity, 13.2% from natural gas, and 0.1% from oil. TVA owns power plants in Alabama, Georgia, Kentucky, Mississippi, North Carolina, and Tennessee; 60.0% of TVA's electric generating capacity comes from power plants in Tennessee, and 24.5% comes from Alabama. On March 4, 2011, TVA said in its its 20-year Integrated Resource Plan (IRP) that it plans to increase renewable, nuclear and natural gas power generation over the next two decades, while cutting coal usage. TVA operates 11 coal-fired power plants with 56 active units and three idled units with a total capacity of 14,500 MW. TVA said it could "idle" up to 4,700 MW by 2017, rather than retire the units, so they would still be available to return with modifications if needed. TVA has said it plans to retire about 1,000 MW of old, inefficient coal units. Despite all the coal units TVA could idle by 2017, the company also said it could build a new coal plant of up to 900 MW to preserve the option of coal with carbon capture. TVA also expects to complete a second 1,150 MW nuclear reactor at Watts Bar by 2013, and two new reactors at Bellefonte in Alabama and other units at unnamed sites. TVA also said it could add up to 9,300 MW of natural gas-fired capacity by buying existing combustion turbines and combined cycle plants from energy merchants or building new plants at unnamed locations. As of 2012 TVA is producing only one-third of its power with coal-fired generating units, a sharp decline from fiscal 2011, when coal-fired boilers produced 52 percent of TVA's power, and it is the first time in decades that coal has not fueled the majority of the electricity generated by the agency. At its November 14, 2013 board meeting, TVA committed to a future power mix made up of 20% coal, 40% nuclear, 20% gas, and 20% hydro and renewables. In September 2010, the Tennessee Valley Authority's Integrated Resource Plan suggest the company's future is likely to include more nuclear power production and less reliance on coal for the next two decades, including idling more coal fired units and adding nuclear units as early as 2018. A handful of strategies were considered, but the report indicated that TVA would be better positioned in the future if the utility diversified its power production and added more energy efficient and demand response programs. The public can comment on the plan through November 2010, and then TVA will submit the plan to the Environmental Protection Agency in March 2010 for a review of the environmental impact. The TVA board will approve plans in April. On April 14, 2011, North Carolina settled a 5-year-old lawsuit - North Carolina v. TVA - with the TVA over emissions from its coal-fired plants. The deal was part of a larger settlement with the U.S. Environmental Protection Agency over TVA violations of the clean air act at 11 of its coal-fired plants in Alabama, Kentucky and Tennessee. The consent decree is the end of a saga that started with a 2004 lawsuit against TVA by the state of North Carolina, alleging that the independent federal utility had not complied with an 1999 - 2000 administrative compliance order it entered with EPA to reduce pollution. The states of Alabama, Tennessee, and Kentucky, and the National Parks Conservation Association, the Sierra Club and Our Children's Earth Foundation all joined the lawsuit. Amicus briefs for TVA were filed in 2009 by the National Association of Manufacturers joined in an amicus brief supporting the TVA with the U.S. Chamber of Commerce, the American Petroleum Institute, the "Public Nuisance Fairness Coalition", the Utility Air Regulatory Group (represented by Hunton & Williams), and the American Forest & Paper Association. On July 26, 2010, a federal appeals court reversed a judge's ruling in North Carolina v. TVA requiring prompt installation of upgraded emission controls at four TVA coal-fired power plants, three in Tennessee and one in Alabama. U.S. District Judge Lacy Thornburg had ordered the accelerated cleanup at the TVA plants, ruling that emissions affecting air quality in North Carolina's scenic western mountains were a "public nuisance." A three-judge panel of the 4th U.S. Circuit Court of Appeals overturned the decision. Appeals court Judge J. Harvie Wilkinson III wrote that allowing the ruling to stand would undermine the nation's "carefully created" Clean Air Act regulatory scheme. North Carolina then sought a rehearing. In July 2013 TVA announced plans to idle or remove from service Colbert Fossil Plant units 1-4 starting June 30, 2016. The plans are the result of a 2011 Consent Decree arising out of consolidated litigation brought by several states and environmental groups for violations of the Clean Air Act. Under the decree, TVA was required to notify EPA of its plan for controlling air pollution at units 1-4 by June 30, 2013. Rather than installing new equipment, TVA opted to idle or retire the plants. According to the Southern Alliance for Clean Energy, unit 5 of the plant, which operated at only 15% of capacity in 2012, appeared also to be heading toward retirement. On November 14, 2013, TVA added Unit 5 of the Colbert plant to the retirement list. The closure date was not specified. TVA also announced retirements at the Widows Creek Fossil Plant and the Paradise Fossil Plant in Tennessee. On April 14, 2011, TVA and North Carolina settled a 5-year-old lawsuit - North Carolina v. TVA - over TVA emissions from its coal-fired plants. As part of the agreement, TVA agreed to phase out 18 units of its coal plants, including six units at the Widows Creek Fossil Plant, taking all but two offline. In May 2012, TVA began considering a switch to natural gas for the plant, linked up to a proposed natural gas pipeline from Tennessee through Alabama to Georgia. On November 14, 2013, TVA announced that unit 8, one of the two remaining units of the plant, would be retired. The agency left the timeframe of the retirement to the discretion of the CEO. TVA also announced retirements at the Colbert Fossil Plant and the Paradise Fossil Plant. TVA has estimated the cleanup will cost $1.2 billion. The utility is self-funding, so ratepayers in the seven-state region are paying the tab with higher electric bills. On August 23, 2012, U.S. District Judge Thomas Varlan ruled that “TVA is liable for the ultimate failure of North Dike which flowed, in part, from TVA’s negligent nondiscretionary conduct.” The litigation involves more than 60 cases and more than 800 plaintiffs, and will allow their claims of negligence, trespass, and private nuisance to move to Phase II proceedings, meaning each plaintiff must prove the elements of his or her claims by a preponderance of the evidence. The company is facing millions of dollars in costs from the coal ash spill at Kingston Fossil Plant in Tennessee. TVA has already spent $68 million on cleanup, and it estimates the final cost could surpass $800 million, not including fines and lawsuits. The Associated Press reported on April 11 that TVA had already spent over $20 million purchasing 71 properties contaminated by the coal-ash spill and is negotiating to buy more. In January 2009, a federal judge ruled that TVA is required to speed up its efforts to reduce emissions from four coal plants in North Carolina in North Carolina v. TVA. The company estimates that completing the necessary smokestack improvements by the 2014 deadline will cost $1.8 billion, which is about $1 billion higher than originally planned. TVA has seen a 5 percent decline in power sales stemming from the recession, predominantly with its industrial customers. The company's retirement fund has lost $3 billion in the stock market. TVA invested $81 million in the fund in 2008, but says it may need to invest an additional $300 million next year. In October 2010 a study found that half of 24 ash ponds at the Tennessee Valley Authority's coal-burning power plants meet the minimum criteria for stability. "All issues are being addressed," said John Montgomery, with Stantec, a geotechnical engineering firm that assessed the ponds for the utility. "I'm not aware of any recommendations they haven't picked up and taken action on." Environmentalists stated they were glad TVA was looking internally at coal ash pond stability, but stated the more studies were necessary, including seismic. 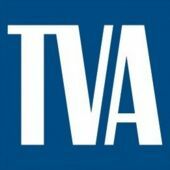 TVA has said they will change all their facilities from wet ash storage to dry ash storage by the end of 2019. That is expected to cost between $1.5 billion to $2 billion. In response to demands from environmentalists as well as Senator Barbara Boxer (D-California), chair of the Senate Committee on the Environment and Public Works, EPA made public its list of 44 "high hazard potential" coal waste dumps. The rating applies to sites at which a dam failure would most likely cause loss of human life, but does not include an assessment of the likelihood of such an event. The list includes sites in 10 states, including 12 in North Carolina, 9 in Arizona, 6 in Kentucky, 6 in Ohio, and 4 in West Virginia. Eleven of the sites belong to American Electric Power, 10 to Duke Energy. No Tennessee Valley Authority sites were included on the list. EPA relied on self-reporting by utilities to rank the facilities, and TVA classied all of its dump sites - including Kingston Fossil Plant - as "low hazard." TVA reclassifies sites as "high hazard"
Two weeks after the release of EPA's list, Tennessee Valley Authority reclassified four of its coal disposal sites to “high.” The four sites include Colbert and Widows Creek Fossil Plants in Alabama and Bull Run Fossil Plant and Cumberland Steam Plant in Tennessee. TVA reclassified most of its other dumps as "significant" hazards, meaning that a dam failure would likely cause economic loss and environmental damage. TVA had initially ranked all its sites as having "low" hazard potential. TVA is a member of the American Coal Ash Association (ACAA), an umbrella lobbying group for all coal ash interests that includes major coal burners Duke Energy, Southern Company and American Electric Power as well as dozens of other companies. The group argues that the so-called "beneficial-use industry" would be eliminated if a "hazardous" designation was given for coal ash waste. Mould and Reynolds report "directly to CEO and President Tom Kilgore. ↑ 1.0 1.1 2007 Annual Report, Tennessee Valley Authority, p. 2. ↑ David Ekbladh. "'Mr. TVA: Grass-Roots Development, David Lilienthal, and the Rise and Fall of the Tennessee Valley Authority as a Symbol for U.S. Overseas Development, 1933–1973." Diplomatic History 26 (3) (2002), 335-374. ↑ Tennessee Valley Authority, "TVA at a Glance", Tennessee Valley Authority website, accessed June 2008. ↑ "TVA 20-year power plan adds nuclear, natgas, cuts coal" Reuters, March 4, 2011. ↑ Tom Charlier, "Coal no longer king in TVA region as more gas-fired plants used to generate electricity," The Commercial Appeal, October 8, 2012. ↑ "TVA decision to downsize Generation Partners defies logic," Southern Alliance for Clean Energy, Sept. 16, 2011. ↑ "TVA's future plans suggest more nuclear, less coal" Bloomberg BusinessWeek, September 16, 2010. ↑ "Federal appeals court blocks ruling for fast-track emission controls at 4 TVA coal-fired plants" al.com, July 26, 2010. ↑ 29.0 29.1 Chloe White, "Dike bursts, floods 12 homes, spills into Watts Bar Lake," Knoxville News Sentinel, December 22, 2008. ↑ 30.0 30.1 "Ash spill: TVA triples amount of sludge released," Knoxville News Sentinel, December 26, 2008. ↑ 39.0 39.1 "Landowners sue TVA for $165M over coal ash spill," Associated Press, December 30, 2008. ↑ 43.0 43.1 Bill Poovey, "Trial starts on damage lawsuits in TVA ash spill" BusinessWeek, Sep. 15, 2011. ↑ 46.0 46.1 "TVA sees growing 'pressure' for higher rates," Associated Press, April 4, 2009. ↑ 48.0 48.1 48.2 Jim Burress, "Coal Ash from Tennessee Disaster Making its Way to Georgia Landfill," WABE, May 8, 2009. ↑ 49.0 49.1 49.2 Sue Sturgis, "Dumping in Dixie: TVA sends toxic coal ash to poor black communities in Georgia and Alabama" Facing South, May 12, 2009. ↑ 54.0 54.1 Bill Theobald, "TVA led coal-ash report astray," The Tennessean, July 29, 2009. ↑ "Study of TVA coal ash ponds finds shortcomings" Associated Press, October 21, 2010. ↑ "TVA plans dry coal ash storage for all sites," Associated Press, August 11, 2009. ↑ 69.0 69.1 "Study: Weak Coal Ash Regs in Tenn. Highlight Need for Federal Law" Stacy Feldman, Reuters, October 28, 2010. ↑ 72.0 72.1 72.2 72.3 "EPA’s Blind Spot: Hexavalent Chromium in Coal Ash" Earthjustice & Sierra Club, February 1, 2011. ↑ 83.0 83.1 Coal-Fired Utilities to American Public: Kiss my Ash DeSmogBlog.com & PolluterWatch, October 27, 2010. ↑ 84.0 84.1 84.2 "TVA Names Executives To Lead Government Relations, Communications", Media Release, July 21, 2009. Dave Flessner, "Tennessee Valley Authority cuts contract for nuclear security," Chattanooga Times Free Press (Tennessee), September 3, 2008. Wikipedia also has an article on Tennessee Valley Authority. This article may use content from the Wikipedia article under the terms of the GFDL. This page was last edited on 26 June 2017, at 15:20.